Sierra Leone is not is a strict Muslim state as its citizens have the freedom of embracing any faith. Islam is the predominant religion in this west African country where Christianity is a significant minority. It is estimated that about 75 to 78% of the seven million people living in this country are Muslims. The Muslim population in Sierra Leone comprises of several sects; including Shi’ism which is followed by a minority as the case with Ahmadiyya and other less dominant sects. Sunni Islam is the largest followed sect in Sierra Leon. 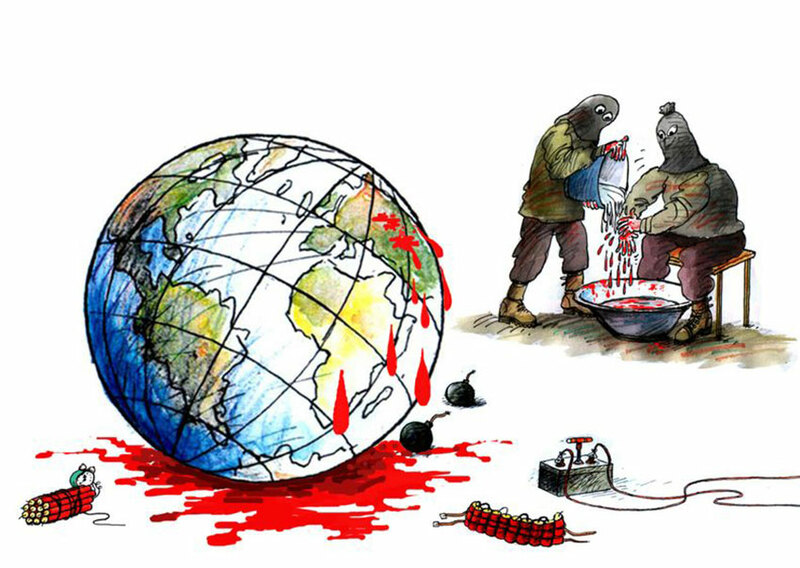 Unlike the Middle East, in this country there is no tension between the Muslim sects or between Islam and other faiths. As the case with many counties with Shi’i communities, Shi’ism in Sierra Leone has been targeted by Iran’s theocratic regime aiming at spreading its own version of Shi’i Islam based on the Shi’i theory of wilyat al-faqih (rule of jurisprudent). This Shi’i philosophy was developed by Iran’s late supreme leader Ayatollah Khomeini who made it the basis of his rule in Iran following the success of 1979 revolution that toppled the shah. Khomeini’s successor, Ayatollah Ali Khamenei, has practiced this theory in his leadership of Iran; it made him above the law and constitution. Exporting this version of Shi’ism to other countries is a non-military means the Iranian regime uses to achieve hegemony in the region. 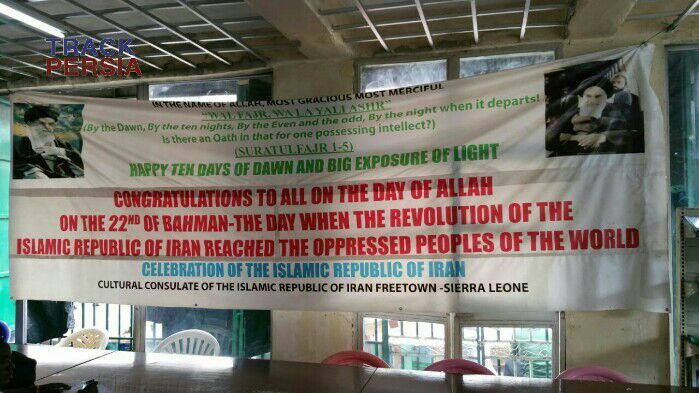 Spreading Iranian version of Shi’ism in Sierra Leone has proved to be not an easy task; given the existence of the well-established sects there, such as Sunnism and Ahmadiyya which the Iran-supported Shi’i group is trying to compete with through worshipping places, educational institutions and media outlets in Freetown. 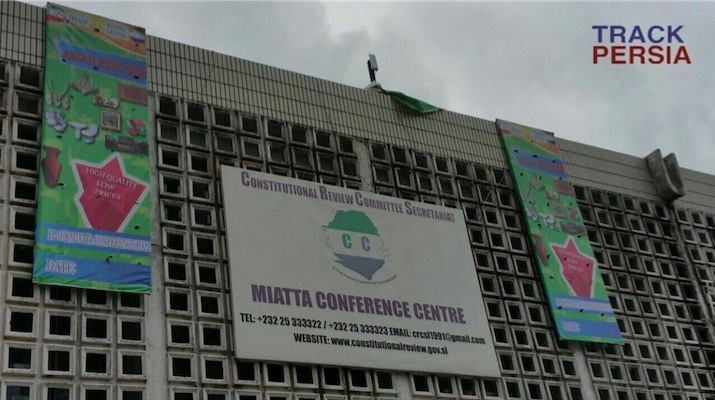 Iranian government has established a culture centre in the central part of Freetown. The centre focuses on spreading Iran’s version of Shi’ism, this is reflected in the books written in Persian that are presented on the shelves of the library of the culture centre. In addition to free of charge library that aims at converting people to Shi’i sect, the culture centre also offers free Persian and computer classes. 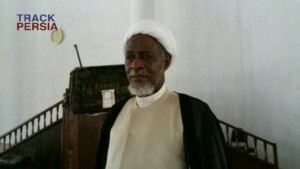 Sheikh Amad Sillah plays a significant role in spreading Iran’s Shi’ism in Sierra Leon. He spent seven years studying at Dar Al-Tabligh Islamic College in the Iranian holy city of Qum in order to acquire MA degree in Arabic language and Islamic studies. 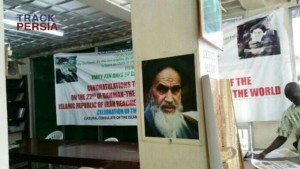 He is currently the head of the influential Iran-sponsored Shi’i community in Sierra Leone. He is also chairman of the Board of Directors of a radio station targets the Shi’i community in Freetown. Sheikh Sillah is also the chief imam of the Freetown’s central mosque, the biggest Shi’i worshipping place in this west African country. The mosque attracts thousands of worshippers during Muslim’s Jumah (Friday) prayers. However, majority of the worshippers who visit the mosque are not from the Shi’i sect. They usually pray at this mosque because it is in a continent location, as it is located in the centre of the capital’s business district. There has been progress in spreading the Iranian Shi’ism as many mosques have been built across Sierra Leone, in addition to more others which are currently under constructions, they are partly funded by the Iranian government, according to the cleric. He claims that “The Shi’i population makes up 20% of the Muslim population in Sierra Leone.” The figure can be disputed because it is deemed to be very high! The 68-year scholar further pointed out that Shi’i Islam is being taught at the Shi’a-sponsored primary and secondary schools in Sierra Leone. It is also being taught in the capital’s Islamic International Institute which is established and sponsored by the Iranian government. Sheihk Sillah was principal of the Islamic International Institute before being replaced by an Iranian citizen. He stated that they had bought a radio station in Freetown a few years ago from a Lebanese businessman named Nasser Ayoub. The radio station’s name has been changed from ‘Free radio’ to ‘Voice of Quran FM 95.7.’ “It aims at targeting the Shi’a of Sierra Leone” Sillah noted, adding that: “It’s bought for the purpose of propagating Shi’ism.” The radio station also targets people from other Muslim sects because there is religious tolerance among all sects in Sierra Leone, according to the cleric. Sheihk Sillah concluded by noting that he’s enjoying preaching about Shi’ism and he thanks the almighty Allah (God) for giving him good health and strength to do what he likes best. He hopes more Sierra Leoneans will embrace Shi’i Islam.